Once upon a time, it was taken for granted that every woman desired motherhood. Having children was seen as the natural progression of a woman's life, and expressing uncertainty or fears about our desire, suitability, or competence for the role, cast doubt on a woman's femininity. Thank goodness that these days women are revealing the complicated intensity of feelings and challenges that await new parents by openly and honestly discussing their attitudes to, and experience of, motherhood. 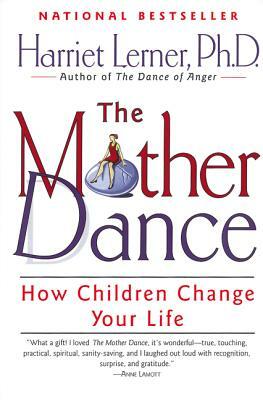 The Mother Dance, How Children Change Your Life, by Harriet Lerner, Ph.D., is one such book which contains a frank conversation about mothering. Luckily, I stumbled upon this gem after the birth of my first child, and it went a good way to legitimizing a lot of the conflicted feelings I was dealing with at that time. Lerner, a psychologist as well as mother of two grown children, takes us from pregnancy right through to the empty nest, examining how motherhood changes us on the inside. She is not afraid to tackle the tough questions, and her chapters include: "Are You Fit to Be a Mother?" "Will Your Child Become a Serial Killer?" and "What Kind of Mother Ever Hates Her Children?" She writes with the empathy and wisdom of having been in the trenches herself, and having counselled many struggling mothers. In addition, she casts a critical eye on the social norms and expectations which often cause mothers to feel inadequate. Even though many such conversations are held on the internet these days, Lerner's wealth of knowledge, integration of quotes from respected sources on motherhood, and friendly style, make this book an important read for mothers at all stages. Abigial Lalonde, Social Media Editor, has some advice for expectant mothers. "While I was pregnant, I stocked up on books about pregnancy, labor, and basic first-days-at-home information. Now that I have a nine-month-old, I wish I had spent my pregnant days reading books about older babies, as I currently feel like I'm playing catch-up. So, if I could give a tiny bit of advice to anyone desiring motherhood, I'd say read as much as you can before you're in the thick of it all! Lucky for me, I respond well to audiobooks, so I have been able to listen to a few without sacrificing my limited time to read for pleasure, or do something decadent—like take a shower! 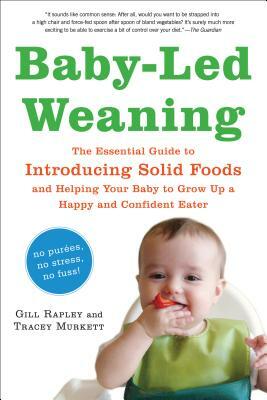 Baby-Led Weaning, by Gill Rapley and Tracey Murkett, has been a great resource for figuring out what and how to feed my little one. While I did start with spoon-feeding, which is against the philosophy of baby-led weaning, I have incorporated much of the advice in this book, which is basically to trust that your baby is eating enough based on how much they eat, not how much you think they should eat. The book erases the myth that a baby who eats more solids will sleep better, and explains that this approach may help to curb obesity in the adult years. While some of the information may be outdated (waiting two years to introduce peanut butter) most of the text is ahead of its time. Something I love about this book is that it goes beyond the first months of feeding a baby (starting after six months is best according to Rapley and Murkett) and into the toddler years, which makes me feel a bit ahead of the game after all." Libby Maxey, Senior Editor and Literary Reflections Editor, recommends a classic novel based around a conflicted mother figure. 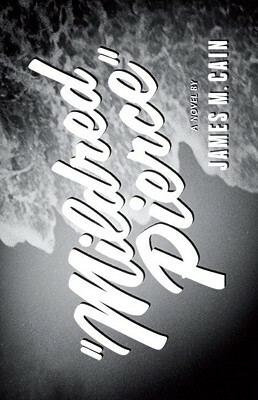 "I recently read James M. Cain's 1941 classic Mildred Pierce, and is it ever a page-turner. It's also a cautionary tale about the destructive power of a mother’s need for her daughter’s approval, affection, and—most troubling of all—dependence. The novel covers most of the 1930s, during which Mildred not only survives the Depression, but builds a small culinary empire so that she can feed the ego of her spoiled, snobbish, and demanding daughter, Veda. Along the way, she throws out one useless husband and saddles herself with another; she loses one child and loses herself to the other; and in the end, the fragile identity that she built around motherhood brings all her achievements crashing down around her ears. Although the book may have been overshadowed by the Academy Award-winning 1945 movie adaptation, starring Joan Crawford, Cain's prose captures Mildred's aspirational scrappiness, Veda's shallow viciousness, and the sheen of California in Hollywood’s 'golden age' so vividly that I haven't felt any need to see the film." Over to you. What are your favorite books on mothers and mothering? A former English teacher with a Master’s degree in English from Middlebury College and work completed towards a Master of Fine Arts in Writing for Children, Anne Hurlbut is a photographer, filmmaker, artist, writer, and mother of 4 kiddos. She believes in the power of color, words, and images, and delights in their coming together. It has long been Anne's dream to combine all of her creative interests, and Anno Studios is the manifestation of those dreams.